Thanks to Gilbert Gutierrez Jr. We have some free Ren Fest Tix to give out on Saturday. We will award them to the 'best dressed' - that being your truck or your person. FJ is in the shop. Nancy and I will not be making it. Have fun. i am in for Box Canyon not sure if we will go to the festival. See you guys in a day. Thanks everyone for coming out. 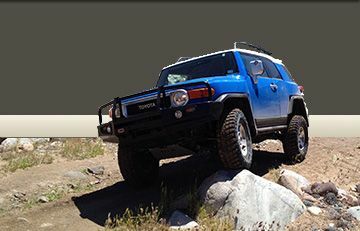 Other than having to tug up an FJ40, no events o ln the trail. and of course Ren Fest was awesome, even ran into Wild Bill! Reduced the size, they are all up there now. Free to download. nice to meet everyone today had a great time. That cactus-faced cow looks quite content for having a bunch of cacti stuck to his face. Thanks for the pics Jimbolio! They came out awesome!! Awesome pictures jimbo! Thanks for the great spotting Mike!